We operate two boats, The Nottingham Princess with a capacity of 130 passengers and the newest addition to our fleet, the Nottingham Prince with a capacity for 50 passengers. The boats are fully heated for Winter sailing and fitted out as comfortable lounge bars with fully licensed bars and dancefloor. We are able to cater from the simplest buffets to three course sit down meals and our friendly staff are there to take the hassle out of your function so you can sit back and fully enjoy the Princess River cruises experience. 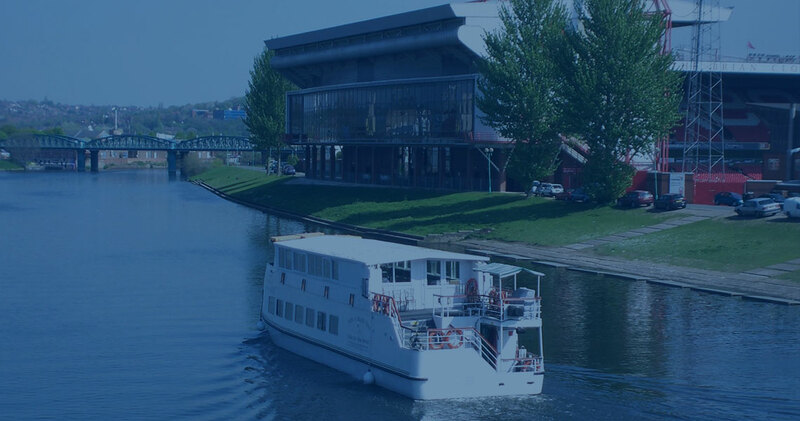 So if you are looking for a quality venue, something different, a venue where the scenery changes whilst cruising the tranquil River Trent then contact us whereby it would be a pleasure to discuss your personal requirements in further detail.